WordPress has been popularly known as a platform that can be used to build an e-commerce website, whether it is developed by a single vendor (e-commerce store) or by multiple vendors under the administration of a store owner (e-commerce marketplace). Compared to the e-commerce store, WordPress marketplace that is managed by multiple vendors can bring greater revenue and commission to the store admin. For that reason, the marketplace is preferable by many users. One of the required tools to build a marketplace using WordPress is a theme. 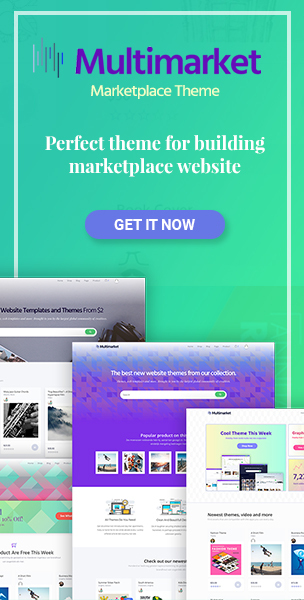 The theme can support the operation of a marketplace website by providing custom templates and styles, as well as additional functions to optimize the marketplace system. Therefore, choosing the right theme for your WordPress marketplace is necessary since it can boost the website’s functionality. Thousands of options of free or premium WordPress themes are available to use, but without careful consideration, it may confuse you even before you start building the website. If you still find it difficult to settle on one theme for WordPress marketplace, take a look at seven ways below to choose and decide the perfect theme that will be the most suitable pair for your marketplace website. To build an effective marketplace website, WordPress should be paired with the right plugins. WooCommerce, Dokan, and WC Vendors are some popular WordPress plugins you can use. The next step to do after you install a certain plugin is choosing the theme which goes well with that plugin. Most available themes have supported various WordPress plugins, but many of them support one type only, so make sure to pick the right theme that will be compatible with your chosen plugin. Free theme for basic installment sounds fair. Besides, zero-cost themes for WordPress marketplace with excellent features are largely available. However, if you want to build an optimal marketplace platform, premium themes are worth the cost. There are several benefits that you will get when choosing a premium theme. Such themes provide more useful features, supports, and updates which create the maximal performance on your website. 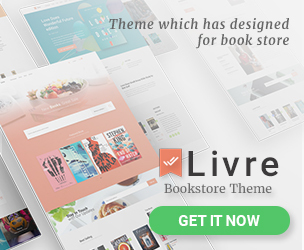 Premium themes also come with original designs that will make your website look unique and different from others. For higher functionality, responsiveness is an important requirement. A responsive theme has the ability to adjust their layout so that it will be compatible with different devices and in different screen sizes. It is necessary to confirm that the theme you choose is responsive and mobile-friendly because more than 50% of website traffic is generated from mobile devices. The setting and customization should be your next consideration when it comes to choosing the perfect theme for your WordPress marketplace. Choose the theme that provides simple customization so you can easily manage the look of your website and create the best impression. Some features that should be highly customizable include basic features such as fonts and color palettes, as well as advanced features that consist of content or picture sizing and spacing, shop-style variations, footers, visual composer, and product sliders. In addition to supporting different devices, your marketplace website should be compatible with different languages. There are many examples of WordPress sites that use other languages besides English, so make sure that your website applies a theme which provides translation service and can be used in multilingual context. SEO-friendly websites do not only rely on the content, but also on the theme it uses. HTML codes generated by the right theme will be able to improve the performance of your WordPress marketplace on search engines. In this regard, premium themes usually allow you to find out whether your website pages are SEO friendly or not. Another important feature that should be taken into account is social media integration. By installing a theme with social media widgets, the visitors can share your website to their social media. This, of course, will improve the chances of other people to visit your website. Last but not least, a good marketplace theme should always be ready for updates in later times. Routine updates are needed to fix any weaknesses you encounter as well as to enhance the security of your website. When browsing for the right theme, make sure to choose the theme that has been updated at least six months or newer. A theme that has not been updated over a year is not a good sign to be selected. Choosing the best theme for your WordPress marketplace is surely not an easy thing to do, but with the right requirements to consider, you can do it easier. 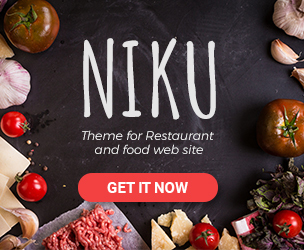 One of the themes that meet the requirements mentioned above is Multimarket, a theme designed specifically for WooCommerce plugin. It supports various product types and has a number of premium features, including responsive display, shop-style variation, custom footers, and menus, as well as the different choice of homepages. Copyright © 2019 Tokomoo. Powered by WordPress, Pustaka and Pustaka Child.